Carroll was among the select institutions invited to participate in development of accounting protocol for the IACBE specialized accreditation in accounting. Technology and innovation have expanded the role of accountants in the global environment. Accounting is the language that enables individuals to communicate and analyze information about businesses, non-profits, and governmental entities. Accountants are strategic business advisors who add value by working with people and a variety of data. Students studying accounting at Carroll College gain an in-depth understanding of financial reporting, auditing, financial analysis and planning, and taxation along with the communication skills, ethical reasoning, and analytical abilities that employers value. Students have opportunities to work closely with business professionals, and nearly 90% complete internships or work for regional accounting firms, local non-profits, area businesses, and governmental agencies while enrolled at Carroll. Be able to describe the various standard setting bodies and the implications of standard changes for the financial markets. Demonstrate the ability to become life-long learners by researching accounting, tax, and audit related issues. Develop an understanding of accounting related careers such as auditing, tax, management and government accounting. Be able to prepare financial statements and discuss the theory underlying the accounting treatment. Utilize skills to analyze past performance of an entity and develop future projections from the financial statements. Demonstrate preparedness for entry into an accounting related career, continuation of studies in graduate school, or professional exams such as the CPA or CMA exam. With small class sizes, students enjoy individualized attention and personal interaction with professors who are experts in their fields and committed to providing students rigorous academic challenges in an atmosphere valuing ethical principles. Accounting students at Carroll College are encouraged to personalize their education by combining a major in accounting with majors or minors from another business area or from other departments. Accounting has been listed among the best jobs and among the happiest careers. Accountants remain in high demand and the U.S. Department of Labor expects accounting jobs to continue to grow at a rate of approximately 20%. With an accounting major grounded in a liberal arts education at Carroll College, students develop the skills that employers value: strong communication abilities, analytical and reasoning skills, and the knowledge to make ethical, value-based decisions. 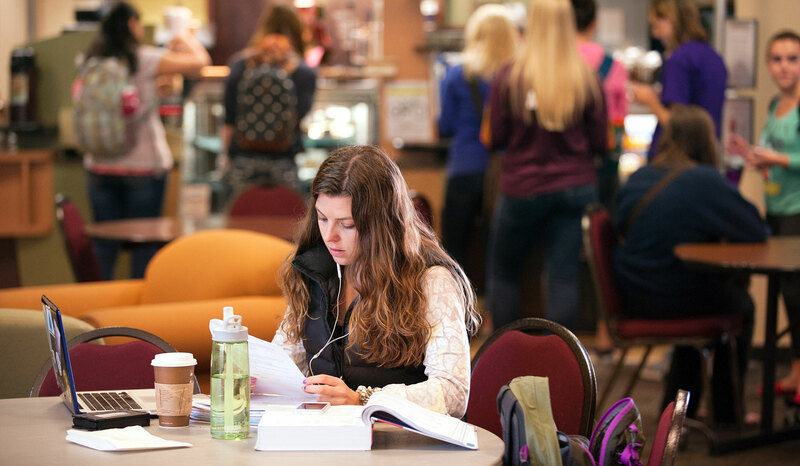 The Carroll College Career Center is available to assist students with securing internships, developing resume writing and interviewing skills, and researching employers. Accounting majors are prepared for a variety of challenging and rewarding careers such as consulting with individuals on tax or financial planning matters, becoming a forensic accountant for the FBI, employment with a local or international corporation, or providing audits of financial statements. Accounting graduates may enter directly into the workforce or enroll in graduate school. Recent graduates have gone on to earn masters in business (MBA), masters of accountancy, doctorates in business administration (DBA), or law degrees from schools such as Montana State University, University of Montana, University of Idaho, Gonzaga University, George Fox University, and University of Notre Dame. Bachelor of Arts with major in Business Administration - concentrations in economics, international business, management, and marketing. Dr. Belle Marie and 10 senior accounting students attended the annual Fraud Conference jointly sponsored by the Montana Society of Certified Public Accountants (MSCPA) and the Big Sky Chapter of Certified Fraud Examiners. Students had the opportunity to network with accounting professionals and learn more about careers in forensic accounting in addition to hearing fraud and forensic accounting topics such as fraud investigations from FBI and IRS files. Previous classes were able to interact with accountants such as Andrew Fastow who in 1999 earned CFO Magazine's Excellence Award for Capital Structure Management and later served six years in federal prison for his role in Enron’s fraudulent financial reporting which led to the corporation’s collapse in 2001. Professor Belle Marie was named the 2016 Jack Kempner Outstanding Educator by the Montana Society of Certified Public Accountants (MSCPA). The honor was bestowed upon Dr. Marie to acknowledge her outstanding contributions to the Montana accounting community. Professor Ashley Stark Hope was recently featured in WalletHub's piece about 0% APR credit cards. Professor Belle Marie was named the 2016 Jack Kempner Outstanding Educator by the Montana Society of Certified Public Accountants (MSCPA). Senior Lauren Larsen received a BIG honor from the Montana Society of CPAs. Dr. Belle Marie and several senior accounting students attended the annual Fraud Conference sponsored jointly by the Montana Society of CPAs and the Big Sky Chapter of Certified Fraud Examiners. Carroll accounting students receive free memberships in the Montana Society of CPAs and scholarship opportunities are available through the MSCPAs. Carroll students interact with accounting professionals through the lecture series, conferences, internships, networking events, and the etiquette dinner. Recent Carroll accounting grads passed the CPA exam with scores in the 80s and 90s. Carroll accounting students participate in the Ethical Leadership Certification program sponsored by NASBA Center for the Public Trust. Sigma Beta Delta Society lends to entrepreneurs in emerging economies through the Kiva microlending project. Enactus club uses the power of entrepreneurial action to transform lives and shape a better, more sustainable world.